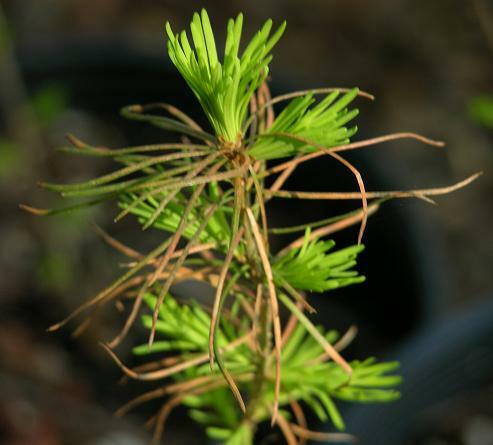 The deciduous nature of this conifer allows it to survive extreme weather conditions. The needles turn a wonderful yellow color in fall which is one of Alpine Larch’s most outstanding features. 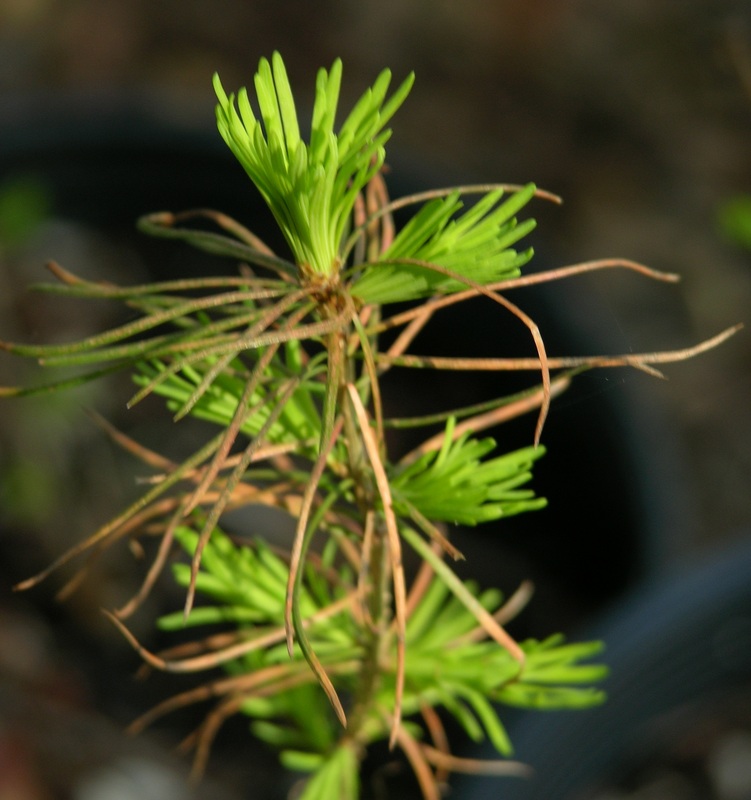 The clusters of soft green needles that emerge in spring are also attractive. It is an open branched tree reaching from 15-to 60’ depending on how difficult the conditions. In less harsh settings it will likely be a tall tree but never dense allowing sun to reach plants underneath. 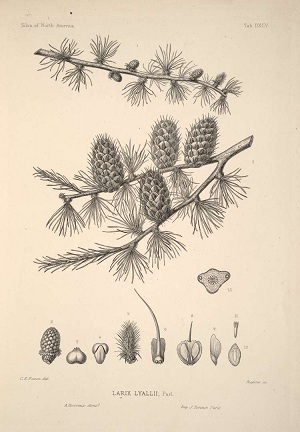 Tamarack is found in pure stands in limited areas at timberline levels in the eastern portions of Washington, Oregon, Idaho and Montana as well as parts of Canada, USDA zones 3-8. 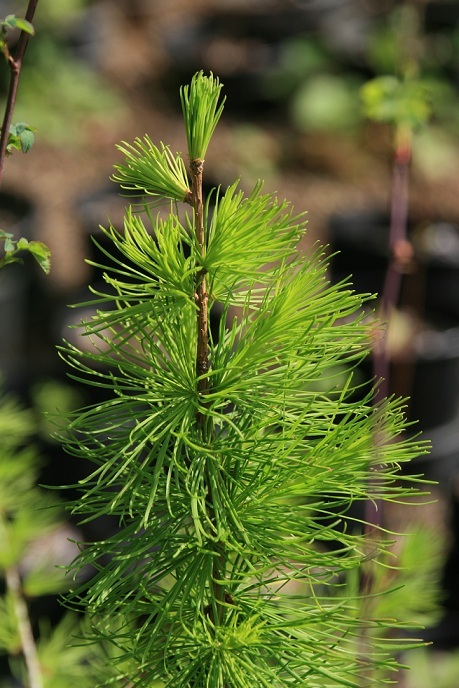 Alpine Larch is a versatile tree capable of handling full sun and draught as well as wind and snow. Larix lyallii, commonly called the Alpine Larch or Subalpine Larch, is particularly lovely this time of year. It's a deciduous beauty, native to the northwest. We recommend this unique tree for experienced gardeners. This Larch is a choice subject for bonsai work. The needles are spread along the branches opening the interesting grayish bark to view. Autumn color is gold to rust before the needles fall. If you are a talented gardener, this is a fine tree for you. It may be planted out in the landscape or kept in a pot on your patio or deck. Stage an alpine scene around our northwest native Larix Lyallii for an unusual composition that will give beauty year round.